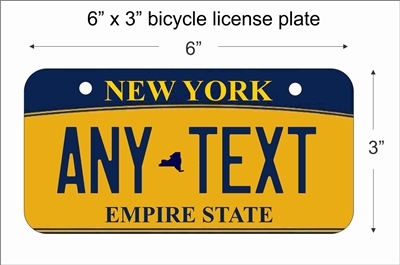 New York Empire State Replica Mini License Plate for Bicycles, Bikes, Wheelchairs, Golf Carts personalized for you. can also be used as a door sign. This is a high quality premium license plate made of the highest quality aluminum metal. This plate is lightweight and durable that won't rust or corrode . 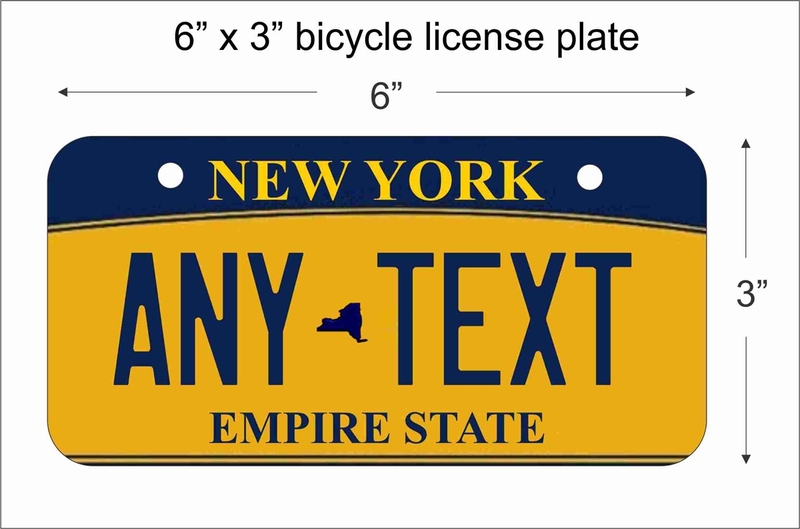 Unlike license plates made of plastic, this plate won't get brittle and crack. The plate measures 3 X 6 inches and has pre-drilled holes. (mounting hardware not included). easy to mount with wire, zip ties or screws. we can custom make you a license plate with almost any image.